Here a collection of audio samples, that may be very helpful and demonstrative during audio tests. 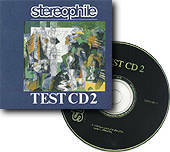 You can find here also some special audio technical packs and CDs. 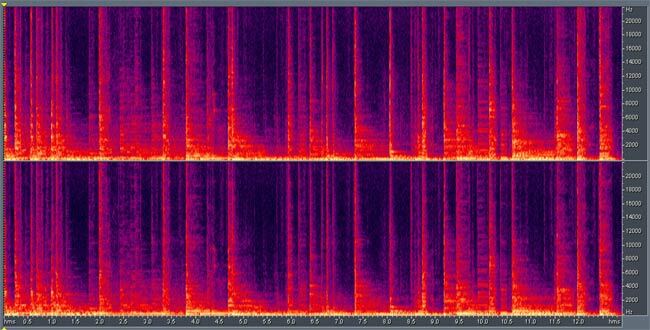 7868 Kb 60 sec, 44.1/16/PCM WAV sonogram Small fragment from Jean Michel Jarre "Oxygene". Very demonstrative when revealing dynamic defects of spectrum in compressed audio data. 3554 Kb 30 sec, 44.1/16/PCM WAV sonogram Small fragment from Fool's Garden "Lemon Tree". Has a very sharp leaps of amplitude mixed with almost full silence. Very demonstrative when revealing dynamic defects of spectrum in compressed audio data. 1135 Kb 9 sec, 44.1/16/PCM WAV sonogram Small fragment from R.E.M. "What's The Frequency, Kenneth" (1994). Many encoders in JointStereo mode fault to encode this signal in a right way. 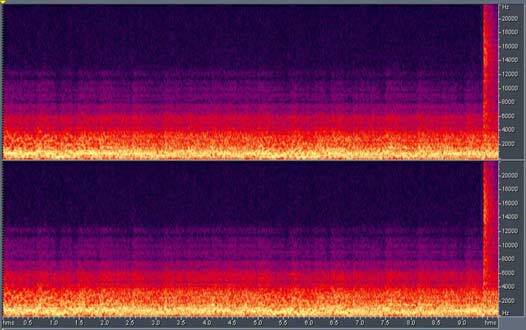 1475 Kb 12 sec, 44.1/16/PCM WAV sonogram Small fragment of Yury Naumov's guitar composition. May be very useful when testing pre-echo effects in psycho acoustic coders. 1814 Kb 15 sec, 44.1/16/PCM WAV sonogram Small fragment from J.S. Bach, English suite for clavecin N5 (BWV 810), part 2 (Allemande). Very clear clavecin sounding. 2303 Kb 13 sec, 44.1/16/PCM WAV sonogram White noise till 10 Khz + tone smoothly passing from 10 Khz till 19 Khz. This test was "fatal" for MP3 Pro codec and looking on the spectrum after MP3 Pro it is possible to make some very sad conclusions about this codec. 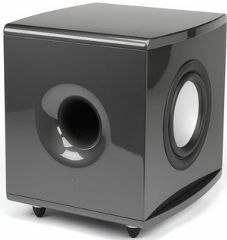 Audio samples collection for testing bass speakers / subwoofer. Contains 13 musical tracks with dominant bass line and 70 test samples: sweeps and pure bass tones. engineers, audio technicians, serious audiophiles, record producers and musicians. 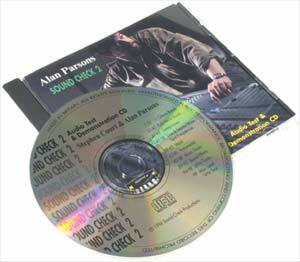 The disc has been designed not only to help assess the technical performance of a wide range of sound recording and reproduction equipment, but also to offer the very best available musical, vocal and effects sources for experimentation and demonstration. PDF with a detailed description. 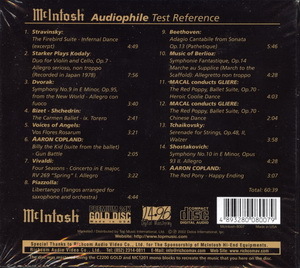 This is one of the most comprehensive of any of the test CD’s. It can be used for anything from aligning tape head azimuth to speaker frequency range, testing noise levels of either your cd player or amplifier/receiver, etc. (WAV+CUE; lossless compressed with WavPack).